management techniques. Carole’s custom designed diversity programs offer you the most practical, results-oriented sessions that your organization has ever seen. Carole has crisscrossed the country, working with thousands of individuals to help them enhance their opportunities while minimizing their diversity challenges. Your organization can become the beneficiary of more than 25 years of Carole’s diversity management and leadership experience. Carole makes sure that every person is included in her message, and she that offers encouragement and real solutions that can be applied soon after the program has ended. experiences some level of growth and development. Your staff, managers, members or program participants will feel more confident about themselves as they are better equipped to understand their personal role in the diversity equation. They will leave each session with actual diversity skills that they can use immediately! Carole partners with YOU to ensure that she delivers exactly what you expect. With a winning combination of humor, history, real diversity stories, and communication builders Carole’s programs stand apart from all the rest! Diversity and New Customer Service: Who needs it?? This hands on 101 session begins with the similarities and differences of people, while advancing to more complex subjects including perception, prejudice, communication building blocks and the every popular "What Can One Person Do To Practice Diversity Both On And Off the Job?" Personalized diversity stories are included to help humanize the topic by engaging each attendee in understanding why they count in the diversity movement. Historical concepts are included to help each person understand why diversity is a centuries-old topic. 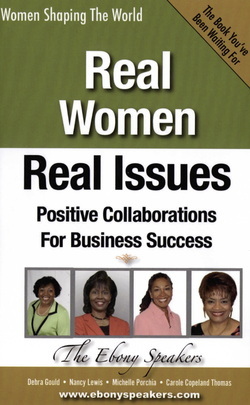 Key concepts are clarified including commonly discussed diversity categories. 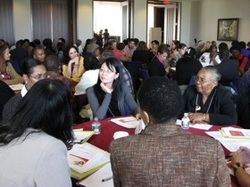 Next step action planning makes this session the perfect keynote, workshop or training program for your audience. 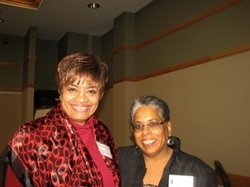 Organizations are dead in the water without the guts of a strong leader who will make a solid commitment to diversity. 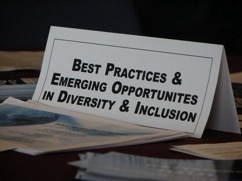 This session explores the successful "best practices" in use today that have transformed diversity initiatives from merely lip service to models of excellence in large and small organizations throughout the world. The risks and rewards of good leadership form the backbone of the why diversity must have a champion to drive the message home to each and every manager, staff member, employee, chapter member or customer. 3. Diversity and New Customer Service? Who needs it?? Smart companies think on their feet and roll out the red carpet to every single customer who comes their way. This session will teach sales professionals how to provide exceptional customer service that will turn the most skeptical person into a dedicated customer, delivering brand loyalty to your company for years to come. Stop ignoring market segments that you barely know anything about, and transform your sales force into deal-makers who understand, manage, and embrace a worldwide diverse clientele. 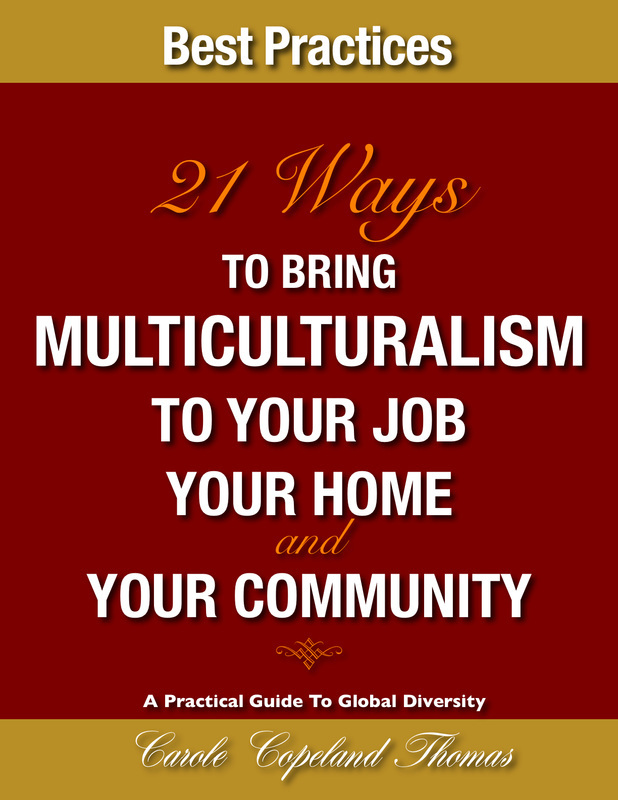 Global Diversity and Multiculturalism are here to stay, and this highly interactive session navigates through the new opportunities available to enhance your organization’s productivity through diversity and multiculturalism. Learn how the Internet can become the single biggest factor to advancing your company’s diversity position. Understand how transformational rethinking will shape the next 25 years of your organization’s growth and development. Find out how change can revolutionize the way your staff reacts to diversity trends in the future. The new millennium is quickly separating people into two camps: the technical champions and the electronic laggers. The success of your corporation, trade association or community group will depend largely on how many people either adapt to technology or run away from it. This session will also explore the economic barriers that increasingly are making it difficult for the average American to fully embrace the digital age. Learn how new diversity opportunities must be employed throughout the country to ensure that the Digital Age will be accessible for all. Just what you’ve been waiting for! More than 50 proven techniques to make diversity work in your company, organization, trade association, faith based organization or community group. From postage stamps to multi-year collaborations, this fast paced, results-oriented session is guaranteed to send attendees back to work with a personal plan of action. Based on years of Carole’s diversity programs presented around the country, this session highlights the most effective ways to make diversity work within large and small organizations. Idea after idea will be presented, making this program a must attend for all of those persons who have already been to more than enough diversity training programs. Perfect for the "been there, done that crowd." Watch This Video Below !